The US Botanic Garden is located on the southwest corner of the Capitol complex right next to the Capitol reflecting pool. It is a living plant museum and was first visualized by George Washington 200 years ago as a way to promote the importance of botany to our then young nation. I do love flowers and respect our first President's vision. But, to put it bluntly, if you are in DC for only a short amount of time, the Botanic Garden should NOT be on the top of your must-do list. However, if you are in town for awhile and you are walking from the Capitol to the Smithsonian museums, I suggest popping in for a quick 30 minutes (which is really all the time you need to spend in there). Not only will you get some reprieve from the harsh DC weather (crazy hot in the summers and crazy cold in the winters), but the Garden features some gorgeous special exhibits throughout the year. On this particular visit of mine, they had made a miniature scale of the National Mall made out of plants. It was beautiful and the details on each model were spectacular! From this angle you can see how the Lincoln Memorial, Washington Memorial, and Capitol are all in line, just like in real life. Everything was executed perfectly to scale! Besides the special exhibit hall, there is also a multistory jungle, cactus room, orchid room, medical plants room, and Hawaiian plants room. 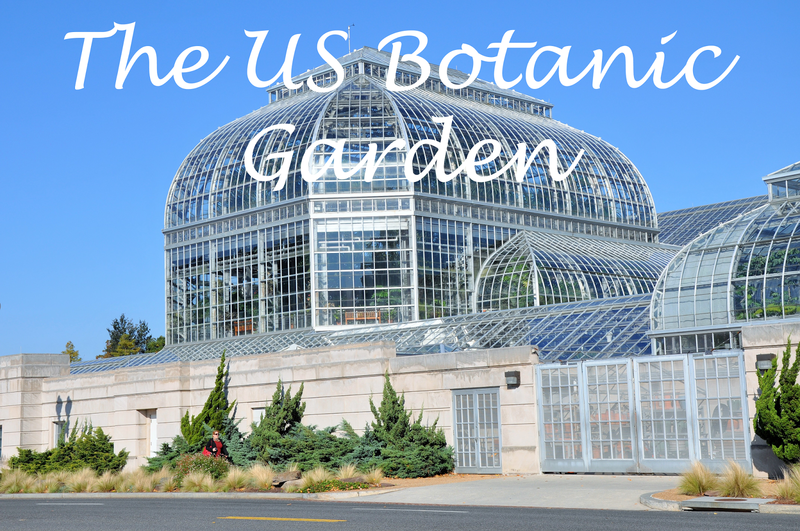 Have you ever been to the US Botanic Garden?